Internet started long days ago. But in the first years it was not popular as today. From technical perspective there are some difficulties which prevents the expansion of the internet. There was a lot of protocols those are incompatible each other and the TCP and IP protocols are standardized. TCP/IP Model fits very well with OSI Reference Model. OSI Model has been very influential the design of the TCP/IP Model. Network access layer provides access to the first hop on the network. This will be generally a switch in our LAN. The most popular or defacto protocol for this layer is MAC or Ethernet. This layer also responsible transmission of signals in the medium. Internet layer is responsible from transmission data between hops. IP is the internet layer for TCP/IP Model. IP is also de facto protocol. IP have two version named version4 or version6. IPv6 is emerging technology. End systems like client and server will have IP addresses and the intermediate hops or routers will route them according to IP protocol by using routing tables. 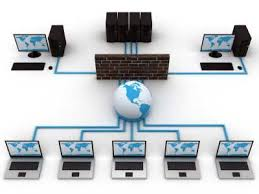 Transport layer is responsible with transmitting Application layer data between end systems like client and server. TCP and UDP provided by the TCP/IP Model. Transport layer will have protocol TCP and UDP with port numbers. Each service or daemon will have single or multiple ports. For example Apache web server will use TCP 80 or 443 by default. LEARN MORE What Is A Firewall and How Its Work? Application layer will receive data and interpret accordingly. There are a lot of standards and protocols that can be used in the Application layer. As an example HTTP is application layer protocol which transmits web related data and web pages.